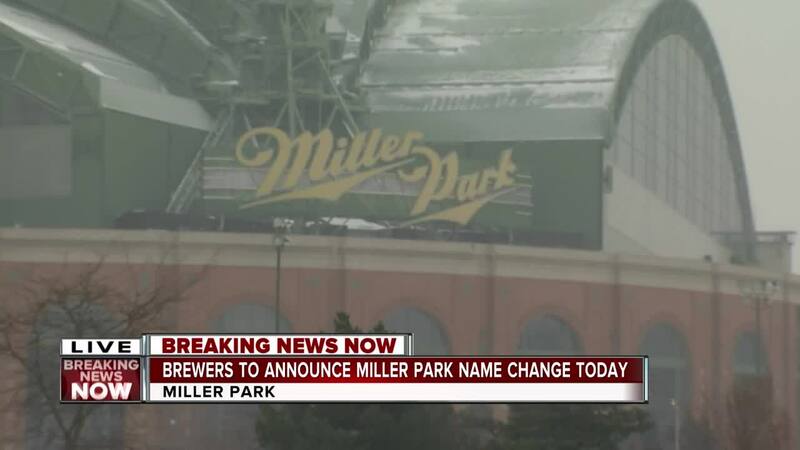 MILWAUKEE -- The home of the Milwaukee Brewers will have a new name next year, MillerCoors confirmed Tuesday. Communication sent to @MillerCoors employees today explain that #MillerPark naming rights are coming to an end when current agreement expires in 2020. American Family Insurance will be the new naming rights sponsor of the home of the #Brewers . Press conference at 2PM today. The Brewers have scheduled a 2:00 p.m. news conference to make the announcement official. Even though the naming rights may be changing, Matzek says fans should still expect plenty of Miller branding at future games. From what I understand @MillerCoors will still have a strong presence at the park. I’m not entirely sure to what level, but that is what I’ve learned.